Marie-Claire Kid looks at one organisation helping to lift people out of poverty in Africa, all from a Yorkshire house. Cristina Talens sits in Bettys Tea Rooms in her hometown Harrogate, sipping ethically traded coffee and talking about her recent trip to Africa.She is familiar with both places. 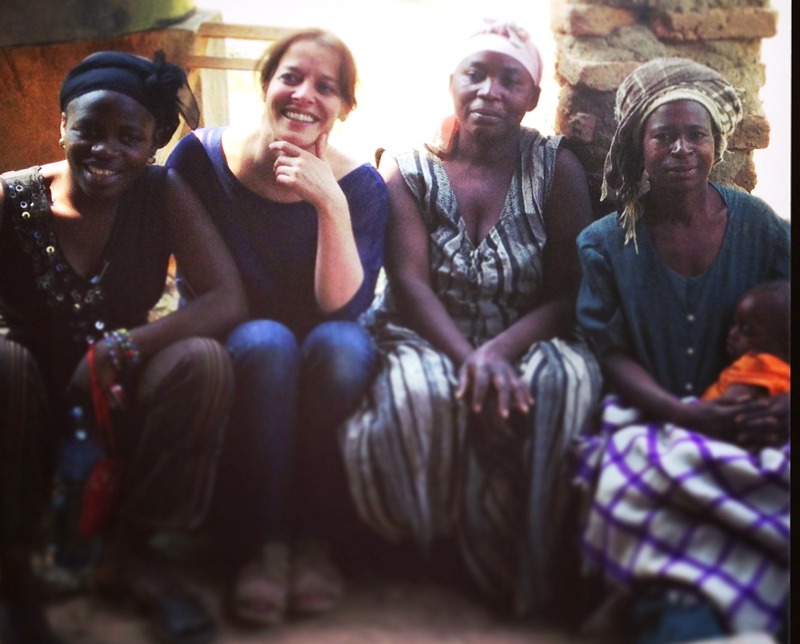 For seven years she was Bettys and Taylors’ ethical trading manager, and she has been working with African farmers for over a decade. These days Cristina is head of smallholder support for another Yorkshire institution, the Lorna Young Foundation, named after the co-founder of fair trade co-op Equal Exchange and coffee brand Cafedirect, who died in 1996 aged just 44. From its headquarters in an unassuming house in the village of Netherton, near Huddersfield, this ethical trade charity helps smallholders in developing countries build their businesses and lift themselves out of poverty. It exists on a thrifty Yorkshire shoestring, run by paid homeworkers across the county and volunteers worldwide. “We’re a very understated charity,” says Cristina. As the tourists and ladies that lunch queue for ethically traded tea, coffee and chocolate, Cristina enthuses about the foundation’s latest project; a bid to address deforestation and poverty in one of the most war torn corners of the world. North Kivu, in the eastern Democratic Republic of Congo, is famous for Virunga National Park and endangered mountain gorillas. Sadly, it is perhaps better known for the wars that have raged here since 1998. The United Nations says this is one the most dangerous places to be a woman. Here, sexual violence is used as a weapon and to split communities. Aid agencies have been pulling out of the area since September, when the conflict escalated once again. In the past few months, the foundation has been conducting its operations in the Congo from neighbouring Uganda. Since July 2012, Cristina has been working with women’s co-operatives in North Kivu and Dutch chocolatier Original Beans to produce chocolate worthy of Michelin starred restaurants. For decades poverty-driven subsistence farming has led to slash and burn agriculture in mature rainforest around Virunga. Cocoa, which can be grown in the forest without destroying it, offers local farmers a way to earn a living without degrading the environment. DRC currently only produces about 10,000 tonnes of cocoa a year, but what it produces is generally of high quality. The female co-ops in North Kivu produce about 2,000 tonnes a year. Original Beans uses their cocoa to make Cru Virunga, an organic dark chocolate described as deeply chocolaty and zingy with ripe morello cherries, smokey tobacco and a soft, warm, African finish. The chocolate has been embraced by chefs at restaurants including The Ivy and Le Caprice and features in products by chocolatier Damian Allsop. For every £3.50 bar, cocoa farmers plant a tree that can be tracked on Original Beans’ website. The scheme offers a high price for cocoa beans, but to qualify cocoa must be produced on land that is not cleared, and local trees must be planted too. To feed their families, the women use an agro-forestry model, growing local crops like cassava and banana, which do not degrade the forest, alongside cocoa. Supported by DfID’s Food and Retail Industry Challenge Fund, the LYF is enabling women from two of the co-ops to help others through local radio. Not Just a Community Enterprise began in 2009 with a group of youngsters in Huddersfield. With support from DfID’s Development Awareness Fund the LYF has also set up groups in Leeds and Doncaster. Cristina, who also campaigns against slavery, says she realised conventional business was missing the human angle while studying business management at Leeds University. “We learned about decentralising organisations, so that in adverse economic situations companies could cease operations and go somewhere else,” she says. “Most companies wouldn’t go near North Kivu. Working with the Co-operative College, the foundation has used radio in Kenya, where it works with co-operatives including Gikanda and Rumukia. “In Kenya, Farmers Gold or Dhahabu Ya Murimi as it’s known locally has an audience of over 4.5 million people,” Cristina says. This entry was written by admin, posted on 24/01/2013 at 8:01 pm, filed under Farmer Extension Programme and tagged Africa, African farmers, Bettys, cocoa, Congo, DRC, ethical trade, fairtrade, harrogate, Kenya, Lorna Young Foundation, LYF, smallholders, Taylors of Harrogate, trade justice, Yorkshire, Yorkshire Post. Bookmark the permalink. Follow any comments here with the RSS feed for this post. Post a comment or leave a trackback: Trackback URL.